Neil Verma | Sounding Out! All of us have reeled at one time or another at what sometimes seemed like a Niagara Falls of quicksand: mounting challenges, unexpected setbacks, pay and budget cuts (if you had a budget to begin with), hashtag memorials, calculated attacks, haters far more malevolent than your basic Taylor Swift variety, general piling on, restrictive and invasive university policies, less jobs/more adjuncts, and racist, sexist, and classist aggressions, macro, micro and everywhere in between. Sammus closed her performance with a stirring sonic memorial to the unarmed black men and women who have been murdered by police in the U.S. over the last 20 years, as well as a call to action for white listeners to acknowledge their complicity in the “law and order” state and the agency they have to end the deadly terror of white supremacist policing. Sammus’s music and lyrics have long inspired the SO! crew to keep on pushing–you’ll hear another of her songs on our mix–but especially this year. We talked a lot about how and why SO! continues to matter, specifically how can the collective labor here that seeks to understand sound as a medium of power be useful in struggles to make #blacklivesmatter once and for all, for example, or to end violence against transpeople? To dismantle debilitating gender stereotypes about women? To stop the marginalization and exploitation of immigrants and undocumented workers in the U.S.? And how to push the boundaries of US-centric sound work with local and/or comparative research from other countries–and vice versa? This year, we redoubled our collective efforts to produce top notch applied scholarship that intervenes in the challenges of our contemporary moment, not just the field of sound studies. When we met in a humid apartment in upstate New York to plot a sound studies blog back in 2009, one of our key goals was to provide indelible visibility to the top-notch contributions we knew were being made to sound studies by scholars of color, graduate students, junior scholars and other groups marginalized in/by academia, so that their role in building this growing field could not be erased, ignored, silenced, hijacked, buried, or claimed by others better positioned by social and institutional privilege and its attendant cultural capital to gain conference spots and find publishers for their work. There is solidarity in the affects produced by giving voice, making visible, and, above all else: listening. Because connections undeniably matter, we decided to build our own, and to do so in a way that celebrated the people and the scholarship perpetually at the fringes of most fields, but especially those involving technology and music. Through the experience of collaboratively reviewing our history and together calling a new creation into being once again, we realized—on an entirely new frequency—how Sounding Out! and the community it kindles consistently sustains the three of us through stormy times: personally, professionally, and politically. I am not sure if it clicked in while scowling through the umpteenth revision or LMAO-ing through yet another Hangout, but we all came around to the truth that the right kind of work, performed with your ride-or-die people, can energize rather than enervate, center rather than scatter, and make you want to keep on pushing, especially when being pushed. For us, it never has been just about sound. So this year, for our 6th Blog-o-Versary, our theme, “Keep on Pushing,” honors the fact that sound can be both a balm and a motivator for years like this one and for times when the news is ENOUGH but we need to keep going. We also want to express our respect and gratitude for all the heavy lifting, daily grinds, and labors of love, pleasure, and sometimes frustration—both Tweeted and unsung—of ourselves and our ever-growing community of readers, writers, Twitter Followers, Facebook friends, Link sharers, survey respondents, sticker distributors, folks who archive us, writers who cite us, teachers who assign us, and peeps who talk us up and give word of mouth. We are all putting in work in a thousand and one ways, big and small, to make this community bigger, badder, and deffer each and every year. And *that’s why we are still here. Thank you and here’s to lucky number seven in 2016! INDEXING: We told you this year was all about the grind. We are working hard over here to make SO! more searchable. With 400 posts and counting over 6 years, we recognize that finding what you need grows more challenging every Monday. This spring, we debuted an alphabetical index of all of the themed series and forums and soon we will have completed full indexes by author soon and title soon, as well as some themed lists for teaching and general inquiry. MLA INDEX IS UP AND RUNNING! : For folks privileged to have access to the Modern Language Association’s digital bibliography—perform a search for Sounding Out! and you will find links to all of our posts categorized as “articles.” The index is also searchable by author. Now we are officially, as Hammer would say, 2 legit 2 quit. WE KEEP ON PUSHING THE ENVELOPE: Now that sound studies is increasingly becoming canonized and institutionalized, we feel it is increasingly important to continue looking for new avenues of interest and inquiry and to experiment with the form of the blog and podcast. This year we debuted a series of online sonic installations by artists and thinkers such as Salomé Voegelin (“Sound Art as Public Art”), the Berlin arts collective La Mission who performed a full series of sound and video installations in honor of José Esteban Muñoz for our Round Circle of Resonance series, and sound artists Sonia Li, Mendi + Keith Obadike and Anne Zeitz and David Boureau. We also began a new running series called “SO! Amplifies,” which allows us the opportunity to scout out innovative organizations, artists, installations, exhibits, community engagement projects, radio programs, etc. and bring them to your attention. THURSDAYS STILL ON POINT! Special Editor Neil Verma has continued to rule the Thursday airwaves with his specially curated series of guest editors emphasizing sound and media. For a rundown of 2014’s programming see his excellent year in re-hear post from November 2014. Right now we are in the midst of the “Sonic Shadows” series with more excitement to come! And of course, Multimedia editor Aaron Trammell continues to curate an exciting and innovative open format podcast series on the last Thursday of every month. 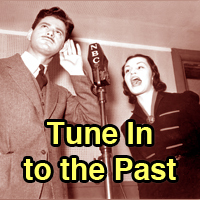 This year’s Blog-O-Versary mix is our 45th podcast! RELAX! DON’T DO IT! : This year SO! started doing its part to promote healthier work habits by taking a week off here or there. We hope that, rather than disappointing our avid Monday morning readership, we have encouraged our community to stop and gather strength too (or at least to explore our extensive back catalog. 400 posts!). SO! is a marathon rather than a sprint and we are just getting started. WE’RE ALWAYS LOOKING FOR NEW FOLKS FOR TEAM SO! Don’t forget we have our latest Call For Posts on “Sound and Affect” up and running with a deadline of August 15th. Please submit a pitch and/or spread the word!! Highlight Reel: See what’s new with SO! authors and community members this year! Congratulations everyone (and don’t forget to keep those cards and letters coming!). Regina Bradley was selected as a 2016 Nasir Jones HipHop Fellow, Harvard University. She is also and incoming Assistant Professor of African American Literature at Armstrong State University in Georgia. Steph Ceraso finished her first year as an Assistant Professor at the University of Maryland, Baltimore County. Her audio-visual project, “A Tale of Two Soundscapes: The Story of My Listening Body,” appeared in the open access collection Provoke! 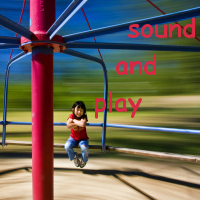 Digital Sound Studies and her article, “(Re)Educating the Senses: Multimodal Listening, Bodily Learning, and the Composition of Sonic Experiences,” was featured in College English. She gave talks at Duke University, The University of Virginia, UCLA’s “Inertia: Sound, Media, and the Digital Humanities” Conference, the Conference on College Composition and Communication, and MITH (Maryland Institute for Technology in the Humanities). Ceraso was also interviewed by The Guardian about teaching the podcast Serial. You can find more about her work and current book project at www.stephceraso.com. Stuart Fowkes’ Cities and Memory hit the 700 mark in terms of numbers of sounds, with more than 150 contributors and now over 200,000 listens. They’ve run open call sound project every few months, which have included: Oblique Strategies: more than 50 artists reimagining field recordings using Eno and Schmidt’s oblique strategy cards for inspiration; Quiet Street: a sound map of the city of Bath that was installed as part of the Fringe Arts Bath festival; Sound Waves: for World Listening Day 2015, a sound map and edited piece looking at the role water plays in our lives; and Dreamland: a commission by the Dreamland amusement park in Margate, UK, to reimagine the sounds of a theme park. Enongo Lumumba-Kasongo passed her Ph.D qualifying exams and has just returned from a research trip to Congo. She also has recently had the opportunity to put together some music and a sound installation for a stage play that will premiere at the National Black Theatre Festival in Winston Salem in early August 2015. The organizers have put together a fundraising campaign via Indie Gogo; they’re trying to raise $15,000, right now they’re just shy of $10,000–please join SO! in supporting her work here. As Sammus, she went on her first tour with rapper Mega Ran which included a performance at the SXSW festival in Austin, TX. You can follow her on Twitter (@sammusmusic) or listen to her music, including her latest releases at http://sammusmusic.bandcamp.com/. Kristin Moriah’s article on Uncle Tom’s Cabin/Onkel Tom’s Hütte was recently published in Lateral, the Cultural Studies Association’s online journal. She will be presenting a paper entitled “Singing Books: The Curation of Sound in Sissieretta Jones’s Scrapbook” at the 2015 American Studies Association convention in Toronto. Visual Editor Will Stabile is still out there every day, making it happen. He asked that we not worry about him. We still check in on him regularly though. Justyna Stasiowska put together for the international conference “Post-technological experience. Art-Science-Culture” (Poznań 23-27 October 2014) the presentation “Soft machine – somaintrument,” on modes of programming perception in Maryanne Amacher’s instalations. She also presented “Ephemeral performance or how does sound smell,” focused on programing a synaesthetic expierience in Ephemera and creating a new academic format during “Fluid Sounds” (lectures, perfomances, performances and audio papers in Amager 18-21 June 2015). Lastly, she created a sound mix for a drag queen-inspired performance called Valentine Tanz, which focused on being a performance artist. The episode (the project is a series of performances), that she worked on juxtaposed the ballroom queer scene aesthetic with Marina Abramovic’s work on trying to deconstruct persona of a performer. Kyle D. Stedman is co-editing a digital collection on sound and writing pedagogy. If you’re interested on submitting an idea for how you use sound in the classroom, read the CFP or listen to the audio version at the Soundwriting Pedagogies project page. He also podcasts every month or so at Plugs, Play, Pedagogy, a show about teaching writing and rhetoric in the 21st century, which led to a workshop and presentation on academic podcasting at the 2015 Computers and Writing conference. Jennifer Stoever published three articles this year, “Fine-tuning the Sonic Color-line: Radio and the Acousmatic Du Bois” in Modernist Cultures, “‘Just Be Quiet Pu-leeze’: New York’s Black Press Fights the Postwar ‘Campaign Against Noise,’” in Radical History Review, and “Toward a Civically Engaged Sound Studies, or (Re) Sounding Binghamton,” in the Proceedings of Invisible Places / Sounding Cities. 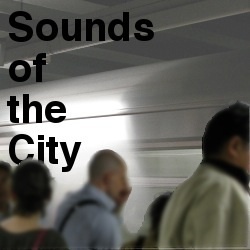 Sound Urbanism and Sense of Place (you can download the full volume here). She was also named an Engaged Teaching Fellow by the Binghamton Center for Civic Engagement and enjoyed the hell out of herself co-teaching a radio arts course with filmmaker and Sound Artist Monteith McCollum. They produced an accompanying live radio show (listen here!). Aaron Trammell will defend his dissertation in September 2015 and will begin a two year postdoctoral fellowship at the Annenberg School of Communication at the University of Southern California. Neil Verma has had a busy year: the WOTW article ran in Velvet Light Trap, published a chapter on noir in Kiss the Blood of My Hands, wrote an article on Wyllis Cooper in the Journal of Sonic Studies, did a review about Sean Borodale’s “Mighty Beast” in RadioDoc Review, wrote an article on Game of Thrones in Critical Quarterly, did a short piece on listening in Lang’s Hangmen Also Die in Cine-Files, then this post on using podcasting to study podcasting in Antenna. He also co-programmed the conference Sonic Boom: Sustaining Sound Studies here at Northwestern, and did Network Director stuff for the Library of Congress RPTF. Alyxandra Vesey published three articles: “Mixing in Feminism.” Popular Music and Society (39) 4: 1-20; “Putting Her on the Shelf: Pop Star Fragrances and Post-feminist Entrepreneurialism.” Feminist Media Studies 15 (6): 1-17; and “Working for @LateNightJimmy.” Spectator: Performing Labor in the Media Industries 35 (2): 47-56. Also, as the graduate representative for the Women’s Caucus, she helped put on SCMS’s “Participatory Pedagogy” networking event and workshop at last spring’s conference in Montreal. The theme for this year’s Blog-o-Versary post and mix was of course inspired by Curtis Mayfield and his early group The Impressions. Thank you for this sonic uplift! Jennifer Stoever is co-founder and Editor-in-Chief of Sounding Out! She is also Associate Professor of English at Binghamton University. Sounding Out! Podcast #44: Keep on Pushing!